This week we discuss funding for small business – Funding is always an issue for small businesses so we explore a few of the alternative sources available. 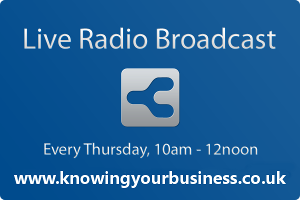 The Knowing Your Business radio show talk with Tim King, Derek Bond and Alan Stewart to find out more. Tim King talks about how Fredericks Foundation offers funding to the business community. Derek Bond talks about crowdfunding, how it works and what to do. Alan Stewart. Co-founder/ CEO of Seetok gives his insights to seeking funding.